My data set contains a number of numeric attributes and one categorical. where CategoricalAttr takes one of three possible values: CategoricalAttrValue1, CategoricalAttrValue2 or CategoricalAttrValue3. I'm using default k-means clustering algorithm implementation for Octave https://blog.west.uni-koblenz.de/2012-07-14/a-working-k-means-code-for-octave/. It works with numeric data only. So my question: is it correct to split the categorical attribute CategoricalAttr into three numeric (binary) variables, like IsCategoricalAttrValue1, IsCategoricalAttrValue2, IsCategoricalAttrValue3 ? There's a variation of k-means known as k-modes, introduced in this paper by Zhexue Huang, which is suitable for categorical data. Note that the solutions you get are sensitive to initial conditions, as discussed here (PDF), for instance. Huang's paper (linked above) also has a section on "k-prototypes" which applies to data with a mix of categorical and numeric features. It uses a distance measure which mixes the Hamming distance for categorical features and the Euclidean distance for numeric features. Actually, what you suggest (converting categorical attributes to binary values, and then doing k-means as if these were numeric values) is another approach that has been tried before (predating k-modes). (See Ralambondrainy, H. 1995. A conceptual version of the k-means algorithm. Pattern Recognition Letters, 16:1147–1157.) But I believe the k-modes approach is preferred for the reasons I indicated above. In my opinion, there are solutions to deal with categorical data in clustering. R comes with a specific distance for categorical data. This distance is called Gower (http://www.rdocumentation.org/packages/StatMatch/versions/1.2.0/topics/gower.dist) and it works pretty well. The choice of k-modes is definitely the way to go for stability of the clustering algorithm used. 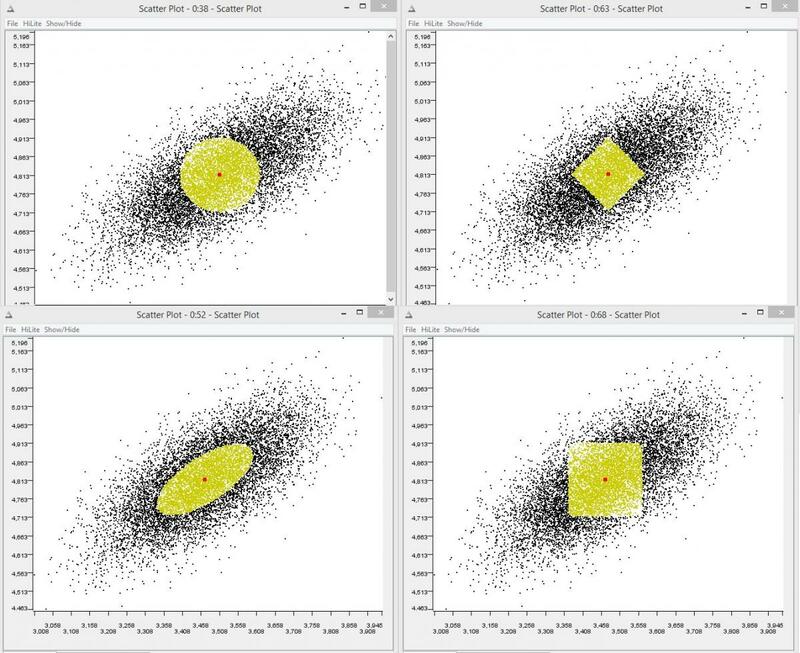 The clustering algorithm is free to choose any distance metric / similarity score. Euclidean is the most popular. But any other metric can be used that scales according to the data distribution in each dimension /attribute, for example the Mahalanobis metric. Fuzzy k-modes clustering also sounds appealing since fuzzy logic techniques were developed to deal with something like categorical data. See Fuzzy clustering of categorical data using fuzzy centroids for more information. This question seems really about representation, and not so much about clustering. Categorical data is a problem for most algorithms in machine learning. Suppose, for example, you have some categorical variable called "color" that could take on the values red, blue, or yellow. If we simply encode these numerically as 1,2, and 3 respectively, our algorithm will think that red (1) is actually closer to blue (2) than it is to yellow (3). We need to use a representation that lets the computer understand that these things are all actually equally different. One simple way is to use what's called a one-hot representation, and it's exactly what you thought you should do. Rather than having one variable like "color" that can take on three values, we separate it into three variables. These would be "color-red," "color-blue," and "color-yellow," which all can only take on the value 1 or 0. This increases the dimensionality of the space, but now you could use any clustering algorithm you like. It does sometimes make sense to zscore or whiten the data after doing this process, but the your idea is definitely reasonable. You can also give the Expectation Maximization clustering algorithm a try. It can work on categorical data and will give you a statistical likelihood of which categorical value (or values) a cluster is most likely to take on. It depends on your categorical variable being used. For ordinal variables, say like bad,average and good, it makes sense just to use one variable and have values 0,1,2 and distances make sense here(Avarage is closer to bad and good). However, if there is no order, you should ideally use one hot encoding as mentioned above. If you would like to learn more about these algorithms, the manuscript 'Survey of Clustering Algorithms' written by Rui Xu offers a comprehensive introduction to cluster analysis. If we consider a scenario where the categorical variable cannot be hot encoded like the categorical variable has 200+ categories. It can handle mixed data(numeric and categorical), you just need to feed in the data, it automatically segregates Categorical and Numeric data. If you find any issues like some numeric is under categorical then you can you as.factor()/ vice-versa as.numeric(), on that respective field and convert that to a factor and feed in that new data to the algorithm. Calculate lambda, so that you can feed-in as input at the time of clustering. we can even get a WSS(within sum of squares), plot(elbow chart) to find the optimal number of Clusters. Hope this answer helps you in getting more meaningful results. K-Means' goal is to reduce the within-cluster variance, and because it computes the centroids as the mean point of a cluster, it is required to use the Euclidean distance in order to converge properly. Therefore, if you want to absolutely use K-Means, you need to make sure your data works well with it. K-Means, and clustering in general, tries to partition the data in meaningful groups by making sure that instances in the same clusters are similar to each other. Therefore, you need a good way to represent your data so that you can easily compute a meaningful similarity measure. Using one-hot encoding on categorical variables is a good idea when the categories are equidistant from each other. For instance, if you have the colour light blue, dark blue, and yellow, using one-hot encoding might not give you the best results, since dark blue and light blue are likely "closer" to each other than they are to yellow. In case the categorical value are not "equidistant" and can be ordered, you could also give the categories a numerical value. For instance, kid, teenager, adult, could potentially be represented as 0, 1, and 2. This would make sense because a teenager is "closer" to being a kid than an adult is. A more generic approach to K-Means is K-Medoids. K-Medoids works similarly as K-Means, but the main difference is that the centroid for each cluster is defined as the point that reduces the within-cluster sum of distances. Enforcing this allows you to use any distance measure you want, and therefore, you could build your own custom measure which will take into account what categories should be close or not. Many of the above pointed that k-means can be implemented on variables which are categorical and continuous, which is wrong and the results need to be taken with a pinch of salt. An example: Consider a categorical variable country. Now as we know the distance(dissimilarity) between observations from different countries are equal (assuming no other similarities like neighbouring countries or countries from the same continent). But in contrary to this if you calculate the distances between the observations after normalising the one hot encoded values they will be inconsistent(though the difference is minor) along with the fact that they take high or low values. Ultimately the best option available for python is k-prototypes which can handle both categorical and continuous variables. Mixture models can be used to cluster a data set composed of continuous and categorical variables. You can use the R package VarSelLCM (available on CRAN) which models, within each cluster, the continuous variables by Gaussian distributions and the ordinal/binary variables. Take care to store your data in a data.frame where continuous variables are "numeric" and categorical variables are "factor". Moreover, missing values can be managed by the model at hand. Not the answer you're looking for? Browse other questions tagged data-mining clustering octave k-means categorical-data or ask your own question. Quick start using python and sklearn kmeans? What is the best to identify the proper hierarchy of this data?